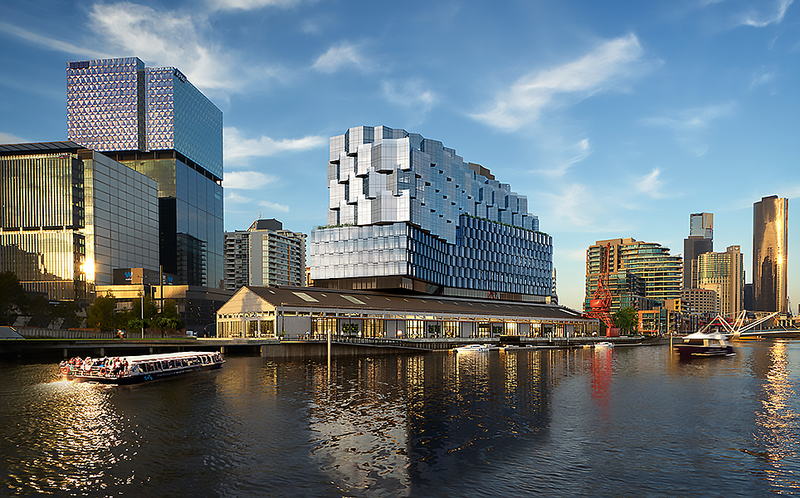 Developer Riverlee has achieved a major milestone at its $450 million Seafarers Place development on the Yarra's Northbank, with the restoration of the last-remaining original electric crane in Melbourne now complete. The restored crane forms a key pillar in Riverlee's plans for the mixed-use project which has been designed by architects Fender Katsalidis in tandem with landscape architects Oculus. With a construction start date of Q1 2020, Seafarers Place will upon completion, comprise 145 luxury residences, a 5-star hotel, a 1000-seat function centre set within the shell of the former Goods Shed No.5 and a 3,500 sqm public park. According to Riverlee, it's passion for successful urban renewal meant it was important that the mixed-use development was sympathetic to the wharf’s industrial past. As such, Riverlee undertook a collaborative process to restore the 1948 crane, which which was recognised in 2002 for its historical significance to Victoria, forming part of the most intact cargo berth in the Port of Melbourne from the pre-containerisation era. Originally located on the west end of Goods Shed No. 5, Riverlee opted to relocate the restored crane to the eastern end to provide improved public access, and to integrate it with the proposed Seafarers Rest Park. The wharf, which dates back to the immediate post-war era, has also undergone significant refurbishment as part of the project, paving the way for construction to begin in earnest. We are excited to bring the rich history of the site back to life as much as possible and in particular, the restoration of the crane was so important to both Riverlee and the various partners involved. The crane demonstrates what a lively area the wharf once was in the mid-1900s, and alludes to a similar atmosphere that is about to come to the new Northbank precinct. We look forward to continuing to tell the story of the site’s historical relevance and reference its history throughout our project.